This farmer is less conserned in dresscode than some previous pictured motorcyclists. 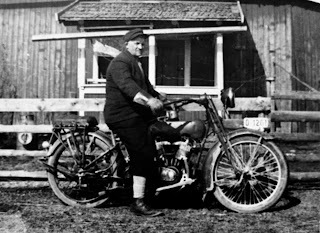 His mount is a 1918 or 19 Harley 61"(1000cc). 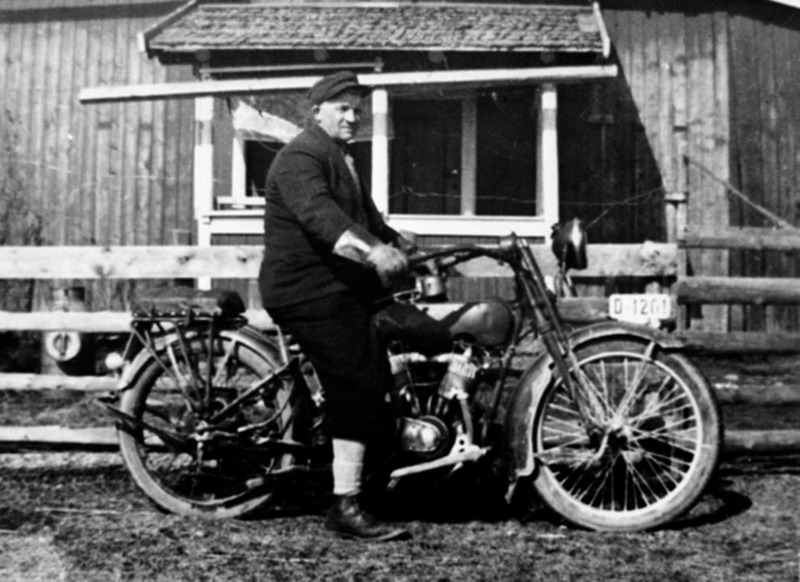 Bike is running a electric headlight powered by a Splitdorf generator mounted in front of the engine. This rather common rebuild is most likely done by the local blacksmith as the lamp is not made by HD. The original gas lamp is still mounted at the rear mudguard.